We’re quite sure we have never seen any product priced under $2 come close to garnering the overwhelming enthusiasm and excitement as this app did from our testers. How did they love it? Let us count the ways: 1) It kept kids entertained for hours, 2) It takes full advantage of every sensory component of the iPad, 3) The visuals are stunning and completely immerse children in the experience, 4) It is crammed with information about this dinosaur period, 5) Your child can become a virtual paleontologist using on screen chisels, hammers and brushes as they hunt for fossils, 6) You can set up different accounts for each of your children so that they can set off and travel their journey at their own pace, create their own scrapbook of pictures and delve into areas that most interest them. We could go on but we think you get the idea. This is a superb example of what educational apps can and should be. Got an iPad and a dino loving kid? Get this app. For 20 years the National Parenting Publications Awards (NAPPA) has been the go-to resource for the best products for families. NAPPA’s team of independent expert judges, along with family and child testers, select the most innovative and enduring products as NAPPA Gold and Honors winners in two annual competitions, Children’s Products and Parenting Resources. Far more than a seal of approval, a NAPPA award signifies that a product has been rigorously evaluated against stringent criteria and stands out among hundreds of other products from around the world. 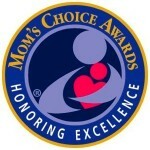 The Parents’ Choice Awards program honors the best material for children. The Parents’ Choice Awards evaluation process is a lengthy and confidential one Award presented by the non-profit Parents’ Choice Foundation to recognize “the very best products for children of different ages and backgrounds, and of varied skill and interest levels. It is considered a “prestigious” award among children’s products, and has been described as the industry equivalent of an Academy Award. The awards are determined by a committee of educators, scientists, performing artists, librarians, parents and children. 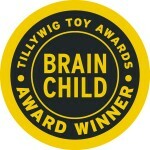 To be selected as a Tillywig award winner, a product must have high entertainment and/or educational value. Toys and games selected for a Brain Child Award are exciting products that energize the mind while seamlessly blending fun and learning. Tillywig’s awards program provides retail buyers, news media, parents and consumers with information and reviews of superior children’s products available in today’s marketplace. Following their most excellent iPad app from 2011, Ansel & Clair’s Adventures in Africa, Cognitive Kid has now come out with a new iPad app, Ansel and Clair: Cretaceous Dinosaurs. Just like the Africa app, this one is fantastic fun and very educational. If you’re a teacher doing a segment on dinosaurs, or if your child is fascinated by the creatures, then Ansel and Clair’s Cretaceous Dinosaurs app for iPad is a must-have. What is so great about apps like Cretaceous Dinosaurs from Ansel and Clair is that they teach kids without children necessarily realizing it. This stylish-looking kid-app aims to introduce children to dinosaurs of the Cretaceous period, including T-Rex, Velociraptor and the 15-horned Kosmoceratops. It follows a well-received app by the same developer focusing on African animals. If you teach a unit on dinosaurs or fossils, this app is a must include! How Ansel & Clair Cretaceous Dinosuars can enrich learning: This app does a wonderful job of teaching students all about the Cretaceous Jurassic period. I have yet to meet a child who isn’t captivated by dinosaurs, they are fascinated by them! Ansel & Clair Cretaceous Dinosaurs capitalizes on this interest through a fantastic interactive app where they will learn all about this Jurassic period, fossils, and paleontologists. The game is guided by Ansel and Clair so even young students know exactly what to do in their adventures. FABULOUS FUN & LEARNING…We have spent many, many hours field-testing this new app with a wide variety of ages…The app has stunning visuals and it completely immerses students in engaging game play, all while they are learning fascinating facts about dinosaurs and what the earth was like 144 million years ago and having a grand time with it! Learning through this medium has so many benefits and it enables kids to delve deeper. It promotes critical thinking skills and there is no comparison to how quickly kids can broaden their knowledge and build their vocabulary on these virtual expeditions! This app contains content to cover the ENTIRE Cretaceous Period and is really an encyclopedia of information. The “gaming” format keeps the kids entirely focused; they barely have time to come up for air. Overall, we loved this first in the series dinosaur application, Ansel and Clair Cretaceous Dinosaurs and look forward to learning more about the Jurassic and Triassic periods in the coming months. Whether you have a little paleontologist on your hands or need to spruce up your earth science unit, the educational apps that Cognitive Kid have to offer are worth the download. Ansel and Clair: Adventures in Africa.. was amazingly great. A gem in the educational world of apps for the iPad. First up for Ansel and Clair to explore is the Cretaceous Period, and to say the app is a success would be to put it mildly. This is also great for classroom use too! Another stellar job!